The nonmedical use of prescription painkillers “opiods” is the fastest growing drug problem in America. Over the past 10 years there have been dramatic increases in overdose deaths, emergency room visits, and admissions to treatment programs resulting from widespread misuse of prescription opioids. Overdose deaths involving prescription painkillers have increased fourfold in the past decade. Since 2003, more drug overdose deaths have involved prescription opioids than heroin and cocaine combined. The stories of these overdose deaths are tragic: A young mother whose addiction to prescription painkillers ends in a fatal overdose at home. A high school student dies at a party after he mixes alcohol with prescription painkillers taken from his parents’ medicine cabinet. A business executive is found dead in his hotel room from an overdose of prescription painkillers he was taking for several years after failed back surgery. Emergency department visits related to prescription painkillers have doubled in the past 5 years to nearly half a million. About 12 million American teens and adults report using prescription painkillers to get “high” or for other nonmedical purposes. Nonmedical use of prescription painkillers is estimated to cost more than $72.5 billion each year in direct health care costs. Opioids, also known as narcotic analgesics or painkillers, are the most potent pain relievers known to man. These medications are typically prescribed to alleviate pain resulting from traumatic injuries, surgery, dental procedures, back and spinal problems, arthritis, migraine headaches, and other painful medical conditions. The most widely used prescription opioids include hydrocodone (e.g., Vicodin), oxycodone (e.g., Percocet, OxyContin, Roxycodone), meperidine (Demerol), hydromorphone (Dilaudid), fentanyl (Actiq, Duragesic), codeine, and a variety of related drugs. How widespread is prescription opioid abuse? The Centers for Disease Control (CDC) reports that enough prescription painkillers are prescribed annually to medicate every American adult around-the-clock for a month. In recent surveys, 1.9 million individuals (teens and adults) reported either abusing or being dependent on prescription pain relievers in the previous year, compared to 399,000 for heroin. Drug treatment admissions for pharmaceutical opioids in 2008 (121,091) were six times what they were in 1998 (19,941). Although most painkillers are prescribed for legitimate medical reasons, many end up being taken by people who misuse them. It is estimated that about 9 million people in the U.S. use opioids for medical purposes, most often to alleviate chronic pain, whereas roughly 5 million use them for “nonmedical” purposes, meaning without a prescription, without appropriate medical supervision, and/or without a diagnosed condition that would medically justify taking these medications. Using substantially higher doses than prescribed and/or obtaining prescriptions from more than one doctor at a time are also considered nonmedical use. What is so appealing about these drugs? Most people who take these medications as prescribed do not get high from them. But as dosage levels increase, the “added benefits” of opioids on mood and mental state become more evident to the user. So, what may start out as appropriate medical use of opioid analgesics for pain relief may give rise to escalating psychological and physical dependence. Tolerance (physiological immunity) to opioids develops with repeated use so that over time larger and larger doses are required to achieve the same effects and to stave off withdrawal symptoms that emerge when the daily dose level is markedly reduced or stopped. When opioid use gets to this point, the addiction trap has been sprung. The highly addictive nature of opioid narcotics is nothing new. It has been common knowledge for many decades that heroin is a highly addictive drug. What has not been so widely recognized until fairly recently, is that prescription painkillers are in the same drug class as heroin (i.e., all are opioids) and affect the same brain receptors in the same way. What makes opioids so appealing to many individuals and thus highly addictive is their extraordinary ability to reduce not only physical but also psychic or emotional pain. Opioids can anesthetize negative emotions, eliminate anxiety, induce positive moods, and create a generalized sense of well-being or euphoria (“high”). In the early stages of use, opioids are likely to enhance rather than impair an individual’s functioning, making these drugs all the more appealing and seductive. Unlike alcohol, opioids leave no telltale odor, and unless taken in large doses, generally do not overtly impair an individual’s cognitive abilities or motor coordination. Multiple factors are probably at work. The dramatic rise in prescription opioid use can be attributed at least in part to increased availability of these substances and to the appearance of more potent opioids on the pharmaceutical market, such as Zohydro, a soon to be released opioid analgesic that is essentially a more potent and longer-acting form of oxycodone (Vicodin). The impending FDA-approved release of this drug onto the pharmaceutical market has stimulated outrage by public advocacy groups (and by some well-known addiction treatment facilities). They object to the FDA’s decision to override the advice of its own advisory board to make available yet another highly addictive drug that has even higher abuse potential and overdose risk than most other prescription painkillers already on the market. On the other side of this debate are advocacy groups for chronic pain sufferers who argue that people with a genuine need for pain relief should not be deprived of these medications simply because some individuals are prone to abusing them. In addition to increased availability of potent prescription painkillers, other factors contributing to the current epidemic include overprescribing by physicians, diversion of drug supplies into the illicit “street” market, and greater access to controlled substances via the Internet. 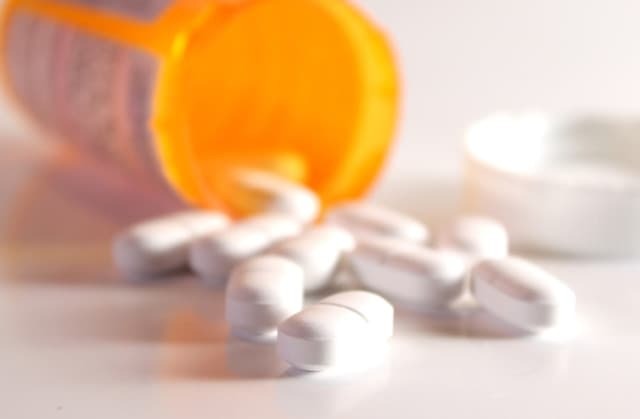 As physicians have become more aware of the need to properly control pain, especially in patients suffering with chronically painful conditions, rates of opioid prescribing have risen substantially in the past decade. Although this has undoubtedly relieved a great deal of unnecessary suffering, the downside is that many patients who abuse opioids have learned how to exploit practitioner’s receptivity to providing patients with appropriate pain relief. People who misuse opioids often manipulate doctors into giving them higher doses and early refills and also may be obtaining prescriptions from several doctors at the same time. Do opioids lead to heroin? Yet another factor contributing to the epidemic levels of prescription drug abuse is diversion of opioid pills into the street as the lucrative black market for these drugs has expanded nationwide. Recent reports point to what appears to be an ominous development: an increasing number of people (particularly teens and young adults) who become dependent on prescription opiates are switching to heroin due to its lower cost, easy availability on the street, and the fact that it can be smoked or snorted to produce a more rapid, intense high than is achieved by swallowing pills. Many different strategies are being utilized to deal with the problem of prescription opioid misuse. These include: (a) encouraging physicians to modify prescribing practices without depriving patients of appropriate pain relief; (b) establishing more sophisticated pharmacy tracking systems; (c) educating the public about dangers of excessive opioid use; and, (d) providing greater access to treatment and more treatment options for people who become addicted to these drugs. Some of the newer medications used to treat prescription opioid addiction are: (1) buprenorphine (Suboxone/Subutex), a safer less addictive substitute medication that can be used to treat the symptoms of opioid withdrawal and reduce drug cravings; and, (2) Naltrexone (Trexan), a non-addictive medication that can be used to help prevent relapse by blocking drug-induced euphoria at opioid receptors in the brain. These medications are most effective when combined with professional counseling.